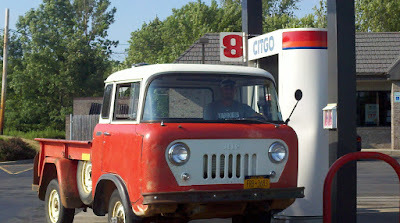 FC150 First Ride - Jeep FC-150 Forward Control by Willys Motors Inc. Took my FC-150 out for it's first ride on the road today! Took it down to corner gas station for a drink of fresh gas. Top end at 45 MPH. Need to install the tachometer so I can get a better feel of how much I can push going up through the gears.